The header file <elf.h> defines the format of ELF executable binary files. Amongst these files are normal executable files, relocatable object files, core files and shared libraries. An executable file using the ELF file format consists of an ELF header, followed by a program header table or a section header table, or both. The ELF header is always at offset zero of the file. The program header table and the section header table's offset in the file are defined in the ELF header. The two tables describe the rest of the particularities of the file. Applications which wish to process ELF binary files for their native architecture only should include <elf.h> in their source code. These applications should need to refer to all the types and structures by their generic names "Elf_xxx" and to the macros by "ELF_xxx". Applications written this way can be compiled on any architecture, regardless whether the host is 32-bit or 64-bit. Should an application need to process ELF files of an unknown architecture then the application needs to include both <sys/elf32.h> and <sys/elf64.h> instead of <elf.h>. Furthermore, all types and structures need to be identified by either "Elf32_xxx" or "Elf64_xxx". The macros need to be identified by "ELF32_xxx" or "ELF64_xxx". Whatever the system's architecture is, it will always include <sys/elf_common.h> as well as <sys/elf_generic.h>. These header files describe the above mentioned headers as C structures and also include structures for dynamic sections, relocation sections and symbol tables. All data structures that the file format defines follow the "natural" size and alignment guidelines for the relevant class. If necessary, data structures contain explicit padding to ensure 4-byte alignment for 4-byte objects, to force structure sizes to a multiple of 4, etc. EI_MAG0 The first byte of the magic number. It must be filled with ELFMAG0. EI_MAG1 The second byte of the magic number. It must be filled with ELFMAG1. EI_MAG2 The third byte of the magic number. It must be filled with ELFMAG2. EI_MAG3 The fourth byte of the magic number. It must be filled with ELFMAG3. ELFCLASS32 This defines the 32-bit architecture. It supports machines with files and virtual address spaces up to 4 Gigabytes. ELFCLASS64 This defines the 64-bit architecture. ELFOSABI_SYSV UNIX System V ABI. ELFOSABI_HPUX HP-UX operating system ABI. ELFOSABI_NETBSD NetBSD operating system ABI. ELFOSABI_LINUX GNU/Linux operating system ABI. ELFOSABI_HURD GNU/Hurd operating system ABI. ELFOSABI_86OPEN 86Open Common IA32 ABI. ELFOSABI_SOLARIS Solaris operating system ABI. ELFOSABI_IRIX IRIX operating system ABI. ELFOSABI_FREEBSD FreeBSD operating system ABI. 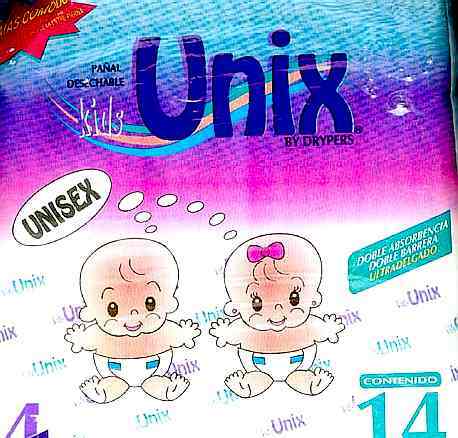 ELFOSABI_TRU64 TRU64 UNIX operating system ABI. EI_ABIVERSION This byte identifies the version of the ABI to which the object is targeted. This field is used to distinguish among incompatible versions of an ABI. The interpretation of this version number is dependent on the ABI identified by the EI_OSABI field. Applications conforming to this specification use the value 0. EI_PAD Start of padding. These bytes are reserved and set to zero. Programs which read them should ignore them. The value for EI_PAD will change in the future if currently unused bytes are given meanings. EI_BRAND Start of architecture identification. EI_NIDENT The size of the e_ident array. EM_MIPS MIPS RS3000 (big-endian only). EM_SPARC64 SPARC v9 64-bit unofficial. e_entry This member gives the virtual address to which the system first transfers control, thus starting the process. If the file has no associated entry point, this member holds zero. e_phoff This member holds the program header table's file offset in bytes. If the file has no program header table, this member holds zero. e_shoff This member holds the section header table's file offset in bytes. If the file has no section header table this member holds zero. e_flags This member holds processor-specific flags associated with the file. Flag names take the form EF_`machine_flag'. Currently no flags have been defined. e_ehsize This member holds the ELF header's size in bytes. This member holds the size in bytes of one entry in the file's program header table; all entries are the same size. e_phnum This member holds the number of entries in the program header table. If the file is using extended program header numbering, then the e_phnum member will contain the value PN_XNUM and the actual number of program header table entries will be stored in the sh_info member of the section header at index SHN_UNDEF. The product of e_phentsize and the number of program header table entries gives the program header table's size in bytes. If a file has no program header, e_phnum holds the value zero. This member holds a sections header's size in bytes. A section header is one entry in the section header table; all entries are the same size. e_shnum This member holds the number of entries in the section header table. If the file is using extended section numbering, then the e_shnum member will be zero and the actual section number will be stored in the sh_size member of the section header at index SHN_UNDEF. If a file has no section header table, both the e_shnum and the e_shoff fields of the ELF header will be zero. The product of e_shentsize and the number of sections in the file gives the section header table's size in bytes. This member holds the section header table index of the entry associated with the section name string table. If extended section numbering is being used, this field will hold the value SHN_XINDEX, and the actual section header table index will be present in the sh_link field of the section header entry at index SHN_UNDEF. If the file has no section name string table, this member holds the value SHN_UNDEF. The main difference between the 32-bit and the 64-bit program header lies only in the location of a p_flags member in the total struct. p_type This member of the Phdr struct tells what kind of segment this array element describes or how to interpret the array element's information. PT_NULL The array element is unused and the other members' values are undefined. This lets the program header have ignored entries. PT_LOAD The array element specifies a loadable segment, described by p_filesz and p_memsz. The bytes from the file are mapped to the beginning of the memory segment. If the segment's memory size ( p_memsz) is larger than the file size ( p_filesz), the "extra" bytes are defined to hold the value 0 and to follow the segment's initialized area. The file size may not be larger than the memory size. Loadable segment entries in the program header table appear in ascending order, sorted on the p_vaddr member. The array element specifies dynamic linking information. PT_INTERP The array element specifies the location and size of a null-terminated path name to invoke as an interpreter. This segment type is meaningful only for executable files (though it may occur for shared objects). However it may not occur more than once in a file. If it is present it must precede any loadable segment entry. PT_NOTE The array element specifies the location and size for auxiliary information. PT_SHLIB This segment type is reserved but has unspecified semantics. Programs that contain an array element of this type do not conform to the ABI. PT_PHDR The array element, if present, specifies the location and size of the program header table itself, both in the file and in the memory image of the program. This segment type may not occur more than once in a file. Moreover, it may only occur if the program header table is part of the memory image of the program. If it is present it must precede any loadable segment entry. PT_LOPROC This value up to and including PT_HIPROC are reserved for processor-specific semantics. PT_HIPROC This value down to and including PT_LOPROC are reserved for processor-specific semantics. p_offset This member holds the offset from the beginning of the file at which the first byte of the segment resides. p_vaddr This member holds the virtual address at which the first byte of the segment resides in memory. p_paddr On systems for which physical addressing is relevant, this member is reserved for the segment's physical address. Under BSD this member is not used and must be zero. p_filesz This member holds the number of bytes in the file image of the segment. It may be zero. p_memsz This member holds the number of bytes in the memory image of the segment. It may be zero. A text segment commonly has the flags PF_X and PF_R. A data segment commonly has PF_X, PF_W and PF_R. This member holds the value to which the segments are aligned in memory and in the file. Loadable process segments must have congruent values for p_vaddr and p_offset, modulo the page size. Values of zero and one mean no alignment is required. Otherwise, p_align should be a positive, integral power of two, and p_vaddr should equal p_offset, modulo p_align. An file's section header table lets one locate all the file's sections. The section header table is an array of Elf32_Shdr or Elf64_Shdr structures. The ELF header's e_shoff member gives the byte offset from the beginning of the file to the section header table. e_shnum holds the number of entries the section header table contains. e_shentsize holds the size in bytes of each entry. SHN_UNDEF This value marks an undefined, missing, irrelevant, or otherwise meaningless section reference. For example, a symbol "defined" relative to section number SHN_UNDEF is an undefined symbol. This value specifies the lower bound of the range of reserved indices. SHN_LOPROC This value up to and including SHN_HIPROC are reserved for processor-specific semantics. SHN_HIPROC This value down to and including SHN_LOPROC are reserved for processor-specific semantics. SHN_ABS This value specifies absolute values for the corresponding reference. For example, symbols defined relative to section number SHN_ABS have absolute values and are not affected by relocation. SHN_COMMON Symbols defined relative to this section are common symbols, such as FORTRAN COMMON or unallocated C external variables. This value specifies the upper bound of the range of reserved indices. The system reserves indices between SHN_LORESERVE and SHN_HIRESERVE, inclusive. The section header table does not contain entries for the reserved indices. sh_name This member specifies the name of the section. Its value is an index into the section header string table section, giving the location of a null-terminated string. sh_type This member categorizes the section's contents and semantics. SHT_NULL This value marks the section header as inactive. It does not have an associated section. Other members of the section header have undefined values. SHT_SYMTAB This section holds a symbol table. Typically, SHT_SYMTAB provides symbols for link editing, though it may also be used for dynamic linking. As a complete symbol table, it may contain many symbols unnecessary for dynamic linking. An object file can also contain a SHN_DYNSYM section. SHT_STRTAB This section holds a string table. An object file may have multiple string table sections. SHT_RELA This section holds relocation entries with explicit addends, such as type Elf32_Rela for the 32-bit class of object files. An object may have multiple relocation sections. SHT_HASH This section holds a symbol hash table. All object participating in dynamic linking must contain a symbol hash table. An object file may have only one hash table. SHT_DYNAMIC This section holds information for dynamic linking. An object file may have only one dynamic section. SHT_NOTE This section holds information that marks the file in some way. SHT_NOBITS A section of this type occupies no space in the file but otherwise resembles SHN_PROGBITS. Although this section contains no bytes, the sh_offset member contains the conceptual file offset. SHT_REL This section holds relocation offsets without explicit addends, such as type Elf32_Rel for the 32-bit class of object files. An object file may have multiple relocation sections. SHT_SHLIB This section is reserved but has unspecified semantics. SHT_DYNSYM This section holds a minimal set of dynamic linking symbols. An object file can also contain a SHN_SYMTAB section. SHT_LOPROC This value up to and including SHT_HIPROC are reserved for processor-specific semantics. SHT_HIPROC This value down to and including SHT_LOPROC are reserved for processor-specific semantics. SHT_LOUSER This value specifies the lower bound of the range of indices reserved for application programs. SHT_HIUSER This value specifies the upper bound of the range of indices reserved for application programs. Section types between SHT_LOUSER and SHT_HIUSER may be used by the application, without conflicting with current or future system-defined section types. sh_flags Sections support one-bit flags that describe miscellaneous attributes. If a flag bit is set in sh_flags, the attribute is "on" for the section. Otherwise, the attribute is "off" or does not apply. Undefined attributes are set to zero. SHF_WRITE This section contains data that should be writable during process execution. SHF_ALLOC The section occupies memory during process execution. Some control sections do not reside in the memory image of an object file. This attribute is off for those sections. SHF_MASKPROC All bits included in this mask are reserved for processor-specific semantics. sh_addr If the section will appear in the memory image of a process, this member holds the address at which the section's first byte should reside. Otherwise, the member contains zero. sh_offset This member's value holds the byte offset from the beginning of the file to the first byte in the section. One section type, SHT_NOBITS, occupies no space in the file, and its sh_offset member locates the conceptual placement in the file. sh_size This member holds the section's size in bytes. Unless the section type is SHT_NOBITS, the section occupies sh_size bytes in the file. A section of type SHT_NOBITS may have a non-zero size, but it occupies no space in the file. sh_link This member holds a section header table index link, whose interpretation depends on the section type. sh_info This member holds extra information, whose interpretation depends on the section type. sh_addralign Some sections have address alignment constraints. If a section holds a doubleword, the system must ensure doubleword alignment for the entire section. That is, the value of sh_addr must be congruent to zero, modulo the value of sh_addralign. Only zero and positive integral powers of two are allowed. Values of zero or one mean the section has no alignment constraints. sh_entsize Some sections hold a table of fixed-sized entries, such as a symbol table. For such a section, this member gives the size in bytes for each entry. This member contains zero if the section does not hold a table of fixed-size entries. .bss (Block Started by Symbol) This section holds uninitialized data that contributes to the program's memory image. By definition, the system initializes the data with zeros when the program begins to run. This section is of type SHT_NOBITS. The attributes types are SHF_ALLOC and SHF_WRITE. .comment This section holds version control information. This section is of type SHT_PROGBITS. No attribute types are used. .data This section holds initialized data that contribute to the program's memory image. This section is of type SHT_PROGBITS. The attribute types are SHF_ALLOC and SHF_WRITE. .data1 This section holds initialized data that contribute to the program's memory image. This section is of type SHT_PROGBITS. The attribute types are SHF_ALLOC and SHF_WRITE. .debug This section holds information for symbolic debugging. The contents are unspecified. This section is of type SHT_PROGBITS. No attribute types are used. .dynamic This section holds dynamic linking information. The section's attributes will include the SHF_ALLOC bit. Whether the SHF_WRITE bit is set is processor-specific. This section is of type SHT_DYNAMIC. See the attributes above. .dynstr This section holds strings needed for dynamic linking, most commonly the strings that represent the names associated with symbol table entries. This section is of type SHT_STRTAB. The attribute type used is SHF_ALLOC. .dynsym This section holds the dynamic linking symbol table. This section is of type SHT_DYNSYM. The attribute used is SHF_ALLOC. .fini This section holds executable instructions that contribute to the process termination code. When a program exits normally the system arranges to execute the code in this section. This section is of type SHT_PROGBITS. The attributes used are SHF_ALLOC and SHF_EXECINSTR. .got This section holds the global offset table. This section is of type SHT_PROGBITS. The attributes are processor-specific. .hash This section holds a symbol hash table. This section is of type SHT_HASH. The attribute used is SHF_ALLOC. .init This section holds executable instructions that contribute to the process initialization code. When a program starts to run the system arranges to execute the code in this section before calling the main program entry point. This section is of type SHT_PROGBITS. The attributes used are SHF_ALLOC and SHF_EXECINSTR. .interp This section holds the pathname of a program interpreter. If the file has a loadable segment that includes the section, the section's attributes will include the SHF_ALLOC bit. Otherwise, that bit will be off. This section is of type SHT_PROGBITS. .line This section holds line number information for symbolic debugging, which describes the correspondence between the program source and the machine code. The contents are unspecified. This section is of type SHT_PROGBITS. No attribute types are used. .note This section holds information in the "Note Section" format described below. This section is of type SHT_NOTE. No attribute types are used. .plt This section holds the procedure linkage table. This section is of type SHT_PROGBITS. The attributes are processor-specific. .relNAME This section holds relocation information as described below. If the file has a loadable segment that includes relocation, the section's attributes will include the SHF_ALLOC bit. Otherwise the bit will be off. By convention, "NAME" is supplied by the section to which the relocations apply. Thus a relocation section for .text normally would have the name .rel.text. This section is of type SHT_REL. This section holds relocation information as described below. If the file has a loadable segment that includes relocation, the section's attributes will include the SHF_ALLOC bit. Otherwise the bit will be off. By convention, "NAME" is supplied by the section to which the relocations apply. Thus a relocation section for .text normally would have the name .rela.text. This section is of type SHT_RELA. .rodata This section holds read-only data that typically contributes to a non-writable segment in the process image. This section is of type SHT_PROGBITS. The attribute used is SHF_ALLOC. .rodata1 This section hold read-only data that typically contributes to a non-writable segment in the process image. This section is of type SHT_PROGBITS. The attribute used is SHF_ALLOC. This section holds section names. This section is of type SHT_STRTAB. No attribute types are used. .strtab This section holds strings, most commonly the strings that represent the names associated with symbol table entries. If the file has a loadable segment that includes the symbol string table, the section's attributes will include the SHF_ALLOC bit. Otherwise the bit will be off. This section is of type SHT_STRTAB. .symtab This section holds a symbol table. If the file has a loadable segment that includes the symbol table, the section's attributes will include the SHF_ALLOC bit. Otherwise the bit will be off. This section is of type SHT_SYMTAB. .text This section holds the "text", or executable instructions, of a program. This section is of type SHT_PROGBITS. The attributes used are SHF_ALLOC and SHF_EXECINSTR. .jcr This section holds information about Java classes that must be registered. This section holds information used for C++ exception-handling. String table sections hold null-terminated character sequences, commonly called strings. The object file uses these strings to represent symbol and section names. One references a string as an index into the string table section. The first byte, which is index zero, is defined to hold a null character. Similarly, a string table's last byte is defined to hold a null character, ensuring null termination for all strings. An object file's symbol table holds information needed to locate and relocate a program's symbolic definitions and references. A symbol table index is a subscript into this array. st_name This member holds an index into the object file's symbol string table, which holds character representations of the symbol names. If the value is non-zero, it represents a string table index that gives the symbol name. Otherwise, the symbol table has no name. This member gives the value of the associated symbol. st_size Many symbols have associated sizes. This member holds zero if the symbol has no size or an unknown size. STT_NOTYPE The symbol's type is not defined. STT_OBJECT The symbol is associated with a data object. STT_FUNC The symbol is associated with a function or other executable code. The symbol is associated with a section. Symbol table entries of this type exist primarily for relocation and normally have STB_LOCAL bindings. STT_FILE By convention the symbol's name gives the name of the source file associated with the object file. A file symbol has STB_LOCAL bindings, its section index is SHN_ABS, and it precedes the other STB_LOCAL symbols of the file, if it is present. STT_LOPROC This value up to and including STT_HIPROC are reserved for processor-specific semantics. STT_HIPROC This value down to and including STT_LOPROC are reserved for processor-specific semantics. STB_LOCAL Local symbols are not visible outside the object file containing their definition. Local symbols of the same name may exist in multiple file without interfering with each other. Global symbols are visible to all object files being combined. One file's definition of a global symbol will satisfy another file's undefined reference to the same symbol. STB_WEAK Weak symbols resemble global symbols, but their definitions have lower precedence. This value up to and including STB_HIPROC are reserved for processor-specific semantics. This value down to and including STB_LOPROC are reserved for processor-specific semantics. ELF32_ST_BIND(info) or ELF64_ST_BIND(info) extract a binding from an st_info value. ELF64_ST_TYPE(info) or ELF32_ST_TYPE(info) extract a type from an st_info value. ELF32_ST_INFO(bind, type) or ELF64_ST_INFO(bind, type) convert a binding and a type into an st_info value. st_other This member currently holds zero and has no defined meaning. st_shndx Every symbol table entry is "defined" in relation to some section. This member holds the relevant section header table index. Relocation is the process of connecting symbolic references with symbolic definitions. Relocatable files must have information that describes how to modify their section contents, thus allowing executable and shared object files to hold the right information for a process' program image. Relocation entries are these data. This member gives the location at which to apply the relocation action. For a relocatable file, the value is the byte offset from the beginning of the section to the storage unit affected by the relocation. For an executable file or shared object, the value is the virtual address of the storage unit affected by the relocation. r_info This member gives both the symbol table index with respect to which the relocation must be made and the type of relocation to apply. Relocation types are processor-specific. When the text refers to a relocation entry's relocation type or symbol table index, it means the result of applying ELF_[32|64]_R_TYPE or ELF[32|64]_R_SYM, respectively to the entry's r_info member. The ELF header files made their appearance in FreeBSD 2.2.6 . ELF in itself first appeared in AT&T V . The ELF format is an adopted standard.